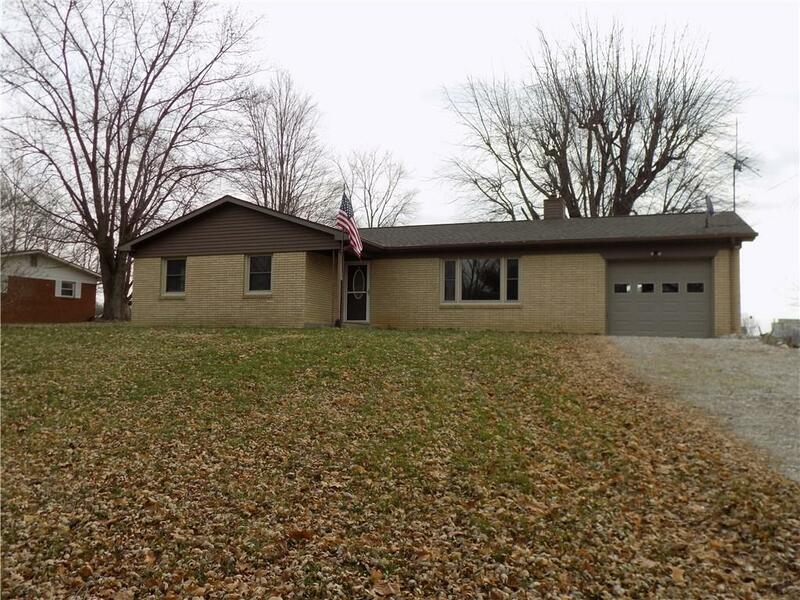 Nice well maintained full Brick Ranch Style home on 5.67 Acres. The home has 3 bedrooms, 1-1/2 baths, full basement that is dry. Combination Kitchen/Dining Area Recent updates include fresh paint, new carpet in Living Room, upgraded electrical Loadcenter and Electric Heat Pump for efficient heating. Two of the bedrooms and hallway have carpet with Hardwood underneath. A 1 car attached garage with access to basement plus a 2 car detached garage and a 20' x 24'x 12' pole barn. The detached garage and pole barn both have electric and water ran to them. Small Patio at the rear of home for grilling out. Possession Day of Closing. Greencastle Schools and excellent access to Greencastle and US 40.